What is the VA Renovation Loan? The VA renovation loan, also known as the VA rehabilitation loan, is a VA-guaranteed loan program that allows homebuyers to purchase a home and fund repairs and improvements. For many homebuyers, move-in ready homes are hard to find. And, when they are available, the cost can be well above what a lot of homebuyers can afford. This makes fixer-uppers more appealing, but securing funds to pay for the work can be a challenge. But, with the help of a VA renovation loan, eligible homebuyers can find the perfect fixer-upper and get money to improve the home. The purpose of a VA renovation loan is to ensure that the home meets the minimum standards to qualify for VA financing. 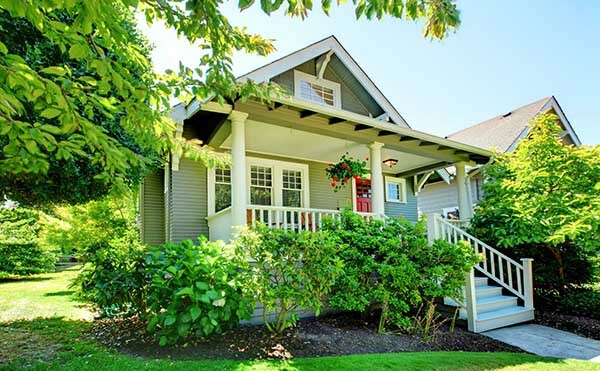 (The VA has minimum property requirements to protect the homeowner’s investment.) Because you’ll be securing a home loan before the repairs are made, getting loan approval is more of a process than with traditional VA loans. That said, once you’re done, you’ll have a purchased home with a VA loan to finance repairs. Check today's VA loan rates. In 2018, the VA updated its guidelines to make it possible for Veterans to purchase or refinance a home that is in need of alteration and/or repair with a VA renovation loan. This allows Veterans to take advantage of older homes, while using their earned VA loan benefit. Loan Types. You must apply for a VA purchase or VA Cash-out Refinance in order to be eligible to fund your repairs with a VA renovation loan. Minimum Property Requirements (MPR). All homes to be purchased with a VA loan must meet MPR as outlined by the VA. Rehabilitation loans must be used to fund repairs and/or renovations that bring the property up to these standards. Contractor Requirements. You must use a registered VA builder or contractor for any property appraised for alteration and repairs. Project Management. The lender is responsible for evaluating, monitoring, and managing the repair project to ensure that the project is completed per plans so the value of the home is preserved in addition to all aspects of alteration and repair funds. Acquisition Cost + Notice of Value. Rehabilitation loans used in conjunction with a home purchase must use the lessor of the acquisition cost or the as-completed value — this is called the Notice of Value (NOV) and is determined by a VA appraiser. To calculate the total acquisition cost for a purchase, add the contract sale price, total cost of repairs, contingency reserve (if any up to 15 percent of the repair cost), inspection fees, title update fees, and permits. Example: A $100,000 house with $75,000 in alterations and repairs, and $8,000 for contingency reserve, inspection, and permit fees has a total acquisition cost of $183,000. If the NOV is lower than the acquisition cost, say $180,000, then the lower amount will be used for the loan and the borrower must bring the remaining $3,000 at closing. But, if the NOV is higher ($190,000 for example), then the lesser $183,000 acquisition cost may be financed. Also, note that lenders may charge a 2 percent construction fee (on top of the usual 1 percent origination charge) for your loan. The thing to understand about VA renovation loans is that it’s a second loan, but it works differently than a traditional VA supplemental loan, which can also be used for renovations. Instead of having two separate loans, the VA rehab loan is rolled together with the original purchase loan — you’ll only have one mortgage rate and monthly payment. Before getting approval for this loan, you’ll need to submit plans for the specific renovations that need to be made, as well as information on the contractor. Because the goal of the program is to make the home VA eligible, you’ll have to prove that the repairs will meet VA standards. This happens during the loan underwriting process. You’ll need to have a list of the specific improvements, including how much those improvements are going to cost. This takes time, and it can slow down the homebuying process. After the repairs are made, a VA inspector will assess the home to ensure it meets VA standards. Check your eligibility for a VA rehab loan. Can you use a VA loan to remodel your home? You can’t use a VA renovation loan to remodel every part of your home. Only VA-approved repairs, renovations, and replacements are allowed. This to to ensure that the home is livable to meet VA minimum property standards. The goal of this loan type is not to finance your dream-home remodel — for that, you’ll need a different loan type. The VA doesn’t specify a minimum or maximum allowable amount for renovation funds. So, if you qualify and only want to make $5,000 in renovations, that’s completely acceptable. That said, some lenders may have maximum amounts they’re willing to finance, so be sure to ask your lender — if the property needs $75,000 of renovations, but the lender will only fund up to $35,000, then they may not be the right lender for your needs. Who can get a VA renovation loan? Anyone who is VA-loan eligible is able to get approval for a VA renovation loan. This includes current VA loan homeowners. A VA renovation loan can also be used for refinancing to fund upgrades to your home. This may be a good way to avoid using a cash-out refinance or getting a second mortgage. To use this loan program as a refinance, homeowners must still follow the same improvement restrictions as new homebuyers. The VA offers two other home improvement loans in addition to VA renovation loans that require no equity. Depending on your unique situation, these VA loan options may better suit your needs. The funds for supplemental loans can be added either to an existing loan or refinance, or the funds can be a second mortgage similar to a home equity loan. The supplemental loan can’t raise the interest rate on your current loan, but it may be higher if it’s a second loan. Also, for VA supplemental loans loans over $3,500, you’ll need a Notice of Value (NOV) and proof of compliance like the VA rehabilitation loan. For loans under $3,500, you need to supply the expected costs in a statement of reasonable value. The maximum amount you can borrow will depend on your available entitlement, your area’s loan limits, and the total value of the repairs. Energy efficient mortgages (EEMs) are loans that let VA mortgage homebuyers (or, owners) cover the cost of energy efficient improvements for their home. In most cases, the VA allows qualified borrowers to raise the VA loan limit up to $6,000 to finance energy efficient upgrades — if you want more than that, you’ll need to secure a Certificate of Commitment from the VA. Some acceptable energy efficient improvements include (but not limited to) solar heating and cooling systems, additional insulation (ceiling, attic, floor, etc. ), storm windows and/or doors, furnace efficiency modifications, and heat pumps. Income verification. For EEMs under $3,000, the VA tells lenders that the cost will be offset by decreases in utility bills. But, for projects between $3,000 and $6,000, the lender is responsible for determining if the extra costs are worth it and that you have the income to cover the increased payment. VA contractor not required. If you are a handy person, then you have the option of doing the repairs yourself — the EEM financing would cover just the cost of materials. Upfront funding fee. All VA borrowers pay 1.25% to 3.3% in funding fees when they first take out a VA mortgage. The funds borrowed for EEMs are subject to this upfront funding fee. The VA renovation loan is a good option for some homebuyers, but the biggest drawback is that it can be difficult to find a lender that offers the program. 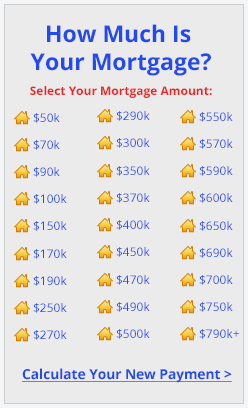 The best way to find a lender that’s willing to offer this type of loan is to check with multiple lenders. 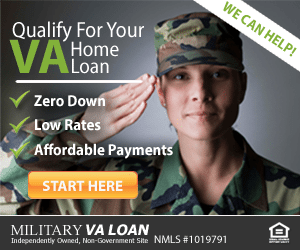 Click to get connected to multiple VA lenders.